The ability to coordinate and organise the work as a label when you have dozens of artists featured is what Ultimae Records has been doing for almost two decades. The difference here is that the label itself doesn’t do things just for the sake of it, as the founders of Ultimae tell their story through their long-lasting imprint. Vincent Villuis and Sandrine Gryson, respectively known as AES Dana and Mahiane, aimed to create a musical portal which would host and represent current and upcoming artists, allowing a natural and continuous growth of the electronic music scene. Stimulated by this thought, they formed Infinium Records which later changed its name to what today is known as Ultimae Records. 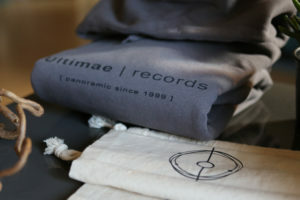 As a label, Ultimae was initially focused on sharing ambient and its many dimensions, as far-reaching as possible, by the production of records, an online shop, and the presentation of their artists into an emerging music scene. 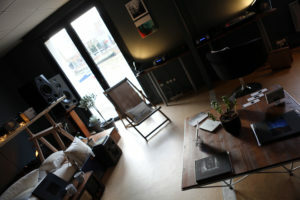 Later, besides the record label, Ultimae introduced the mastering studio Ultimae Studios, together with the record shop and distribution channel Ultimae. 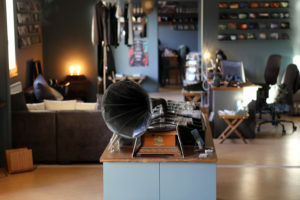 The first record shop was set up at the heart of Lyon in 2009, run by Arnaud Galoppe aka Focal and Léa Desbois aka Liya. Ultimae has since been developing its activities with sound-design, post-production and mastering studios in both Lyon and St Petersburg, as well as a tailored publishing, licensing, and sync service. “Ambient music is more a definition and a poetic approach to music than the genre itself. Ambient must be considered an optical filter, a game of perceptions which can be applied to all music styles. As for trance, let’s say a powerful and liberating genre of electronic music,” Vincent Villius said when we asked about what is ambient and trance music to him. The labels basis is deeply rooted on its founder’s constant involvement in the scene and their signed artists, considering that Vincent, on top of his work with the label, with his alias AES Dana has released numerous works solo and in collaboration with other artists. He is also known for his artistic direction on the Fahrenheit Project series of compilations, and as head of the Ultimae Studio, he has earned a solid reputation for his audio mastering works. Other releases of Ultimae include the works of projects such as Asura, which was originally a duo composed of Charles Farewell and Vincent Villuis, and later was joined by Christopher Maze. Asura released its first album as a trio in 2000 in Ultimae (back then known as Infinium Records), and even after Vincent left the group to focus more on his project as AES Dana and his work as Ultimae’s founder, Asura continued to release in Ultimae publishing other well-known productions as a solo project of Charles Farewell. 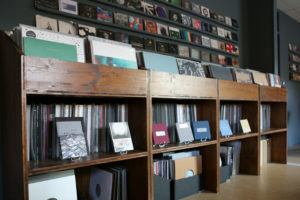 In addition, Ultimae has released productions of artists such as Johannes Hedberg and Daniel Segerstad with their prominent music duo Carbon Based Lifeforms, counting five of their albums, such as Hydroponic Garden (2003) and World Of Sleepers (2006); continuing with Magnus Birgersson and his project Solar Fields, who beside his solo productions such as his first album Reflective Frequencies (2001), and ten other albums released in Ultimae, including Movements (2009) and a collection of his old tracks Origin #2 (2013), collaborates with AES Dana under moniker H.U.V.A. Network. Another worth mentioning collaboration under Ultimae is that of Mihalis Aikaterinis and his moniker MikTek, which released his album Elsewhere (2013) in Ultimae and also cooperated with AES Dana in the release various EPs such as Cut (2014), Alkaline (2015), and their audio sample Fragment libraries. On the other hand, Sandrine as the DJ, publisher, and manager of the label has been exploring various music genres since 1985 and developed a keen ear and heart for ambient music. 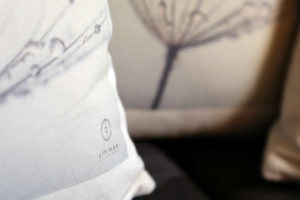 Sandrine occasionally participates in projects such as AES Dana and Subgardens and has been releasing the Oxycanta series of compilations on Ultimae. As a well-established label, Ultimae explores the spectrum that electronic ambient music has to offer with occasional incursions into the uptempo territory, representing the traditional positive thought of a label, which supports composers in their creative process and promotes their musical works to a wide variety of production worldwide. Claudio Porceddu, Italian DJ and electronic music producer, better known for his alias Claudio PRC, brought in an exclusive set for our label showcase feature, incorporating tracks by various artists released under the Ultimae label, which makes us believe that a relatively new collaboration of Claudio PRC and Ultimae is about to come. Additionally, we had the chance to interview Vincent and Sandrine, to get more insight about the label and their long-continuous journey of Ultimae. Founded in the year 1999, you celebrate 19 years of active work as a label, how did your sound change and shape during all these years? We believe that composers are like creative filters, they feel, see, touch, love, reject, fear, sense everything that surrounds them and bring this out in their works. The world changes, people change, music changes. And let’s not forget, we are very closely linked to technological evolution, there are sounds we can create now we couldn’t even dream of back in ‘99. When compiling we usually have an idea, either a theme or a type of sound or emotion we want to convey in the story. We tell the artists we want to collaborate with about it of course and either they have something on their hard drive that matches the idea or they will want to create a new piece. There are also works we receive as demos from new artists, and it happens that we find what we’re looking for this way. Generally, composers like to have some form of artistic direction, and that’s a big part of our job. Most of the time we’ll have 15 to 20 tracks to chose from to end up with a 10 tracks story. Sometimes your favorite one just doesn’t fit in at the end. Sometimes you need to play with the track listing to actually get the exact development in the sound you are dreaming of. It can be done in a few weeks, or in a few years. The most important is to be completely satisfied with the result. How do you think Ultimae Records has influenced the ambient and trance scene? Influence is delicate to pin down, and we’re part of a global sonic phenomena, we change and evolve, the influence we may have had in 2000 is different to the one we suppose we have now. What are the most memorable events during these 19 years of Ultimae? The most memorable events are probably the Nuit Hypnotique, we did 4 sessions, 3 at Les Dominicains de Haute Alsace and the last one at La Filature in Mulhouse. The Global Ultimae sessions in Moscow were a blast too, especially the last one, we had friends and fans coming from all over the world which was a true gift. Is there another particular label which you appreciate for its musical orientation? We couldn’t give you the name of one label, there are 5 people working at Ultimae, and we all have our favorites, and sometimes it’s not a label but a specific release. But if we must give you some names, let’s say Databloem, Erased Tapes, Raster Noton, Hypnus, Axis, Scissor and Threads, Serein, Other People, and Silent Season. 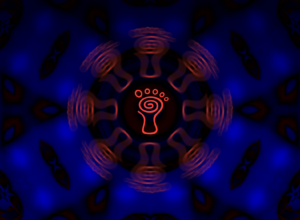 What do you think of the current ambient and trance scene worldwide? How do you think it’s evolving? We’re not so close to the trance scene, even though some of our artists happen to perform at festivals and events which are trance oriented, so let’s leave that one out. 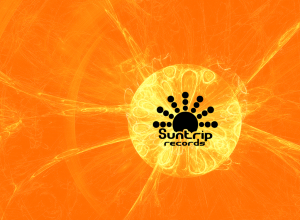 The ambient scene has truly enriched itself over the last 20 years, with so many fusion genres; it crosses all boundaries from techno to modern classical and is slowly becoming more mainstream with features in films, series, video games, and commercials. There are now festivals completely dedicated to ambient and more venues opened to the idea of sleep concerts. Somehow it’s become kinda fashionable, more and more composers are moving to this style of production. How is the French scene nowadays and what did change and what did stay the same? How was it like back in the days when Ultimae Records still didn’t exist? The French scene is doing better, the attitude towards electronic music is changing, we’re no longer tagged with “techno equals drugs” label, public authorities and the police are allowing events, generally is moving in the right direction. 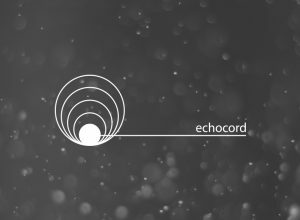 As for the creative part, there are some pretty good composers and labels, way more now than before we started our mission. Let’s remind here that Ultimae isn’t that famous in France, 90% of our fanbase is worldwide. Considering the drastic change of the audio medium, which ones do you actually prefer and why? Once again, ask any team member, and you’ll have a different answer. Generally, we’re more into physical copies, and we like to touch our music collection. We also like paper, covers and booklets, vinyl, beautiful objects. Of course, some of us have great sounding speakers and enjoy the DTS or 5.1 formats, or like to embark digital music for travels. What can we expect from Ultimae Records in the future? We have a series of releases on vinyl curated by Focal to follow his Polarity project, albums by Master Margherita, AES Dana, and Cell, a compilation by Opale, H.U.V.A. Network and Connect.Ohm albums reprints, that’s about all we can tell for now. “In the last months, I’ve made a deep research on your music, on your history, looking through your catalogue, to know much more and to dive completely into the concept of the label, with which I find myself very close since the time I’ve known you.